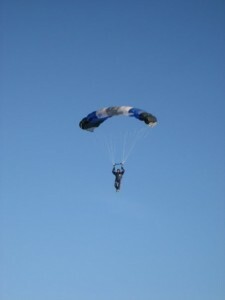 It was a little chilly, but I got in my first skydive of the year. …. excellent photo…. but I still say that you are insane…..
… dude, you are supposed to wait until the plane LANDS to get out….